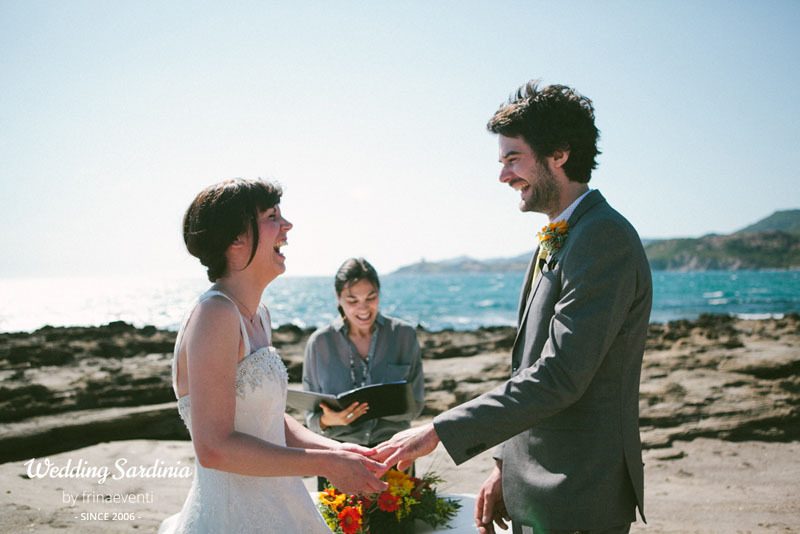 Our Humanist ceremonies in Sardinia are celebrated by the only Humanist Celebrant in the island. 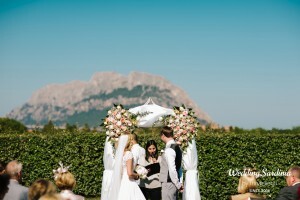 A Humanist ceremony is symbolic and respects virtually all situations: remarriage after divorce, renewal of vows, couples from different faiths or of no faith. 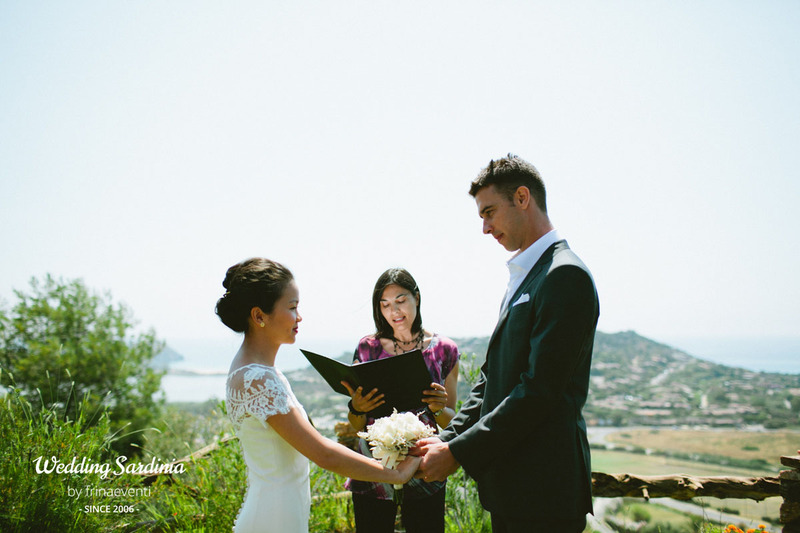 Humanist ceremonies in Sardinia are an ideal solution for those couples that don’t want a religious service, but want more than the registry office. The format of a Humanist ceremony can follow a traditional pattern but tends to be very personal and meaningful as it is composed individually to suit the couple’s specific requirements. 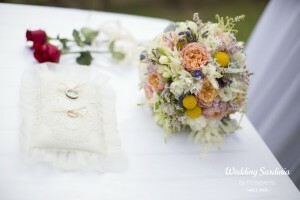 “Standard” weddings impose strict guidelines on time, place and wording. 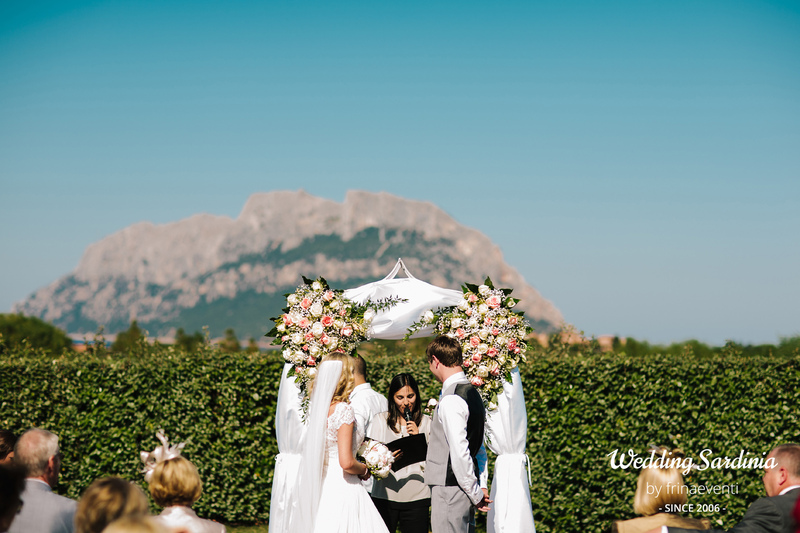 In contrast, humanist ceremonies let you make personal choices about vows, readings, music and any symbolic actions you will choose to take, such as exchange of rings, candle-lighting, hand-tying. 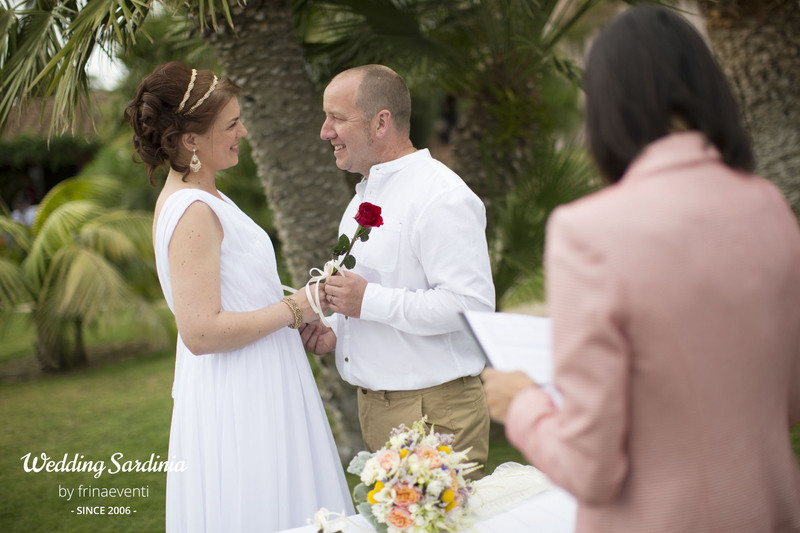 The celebrant will make suggestions about rituals, readings and music, will answer questions, discuss ideas and help you to create your personal vows. 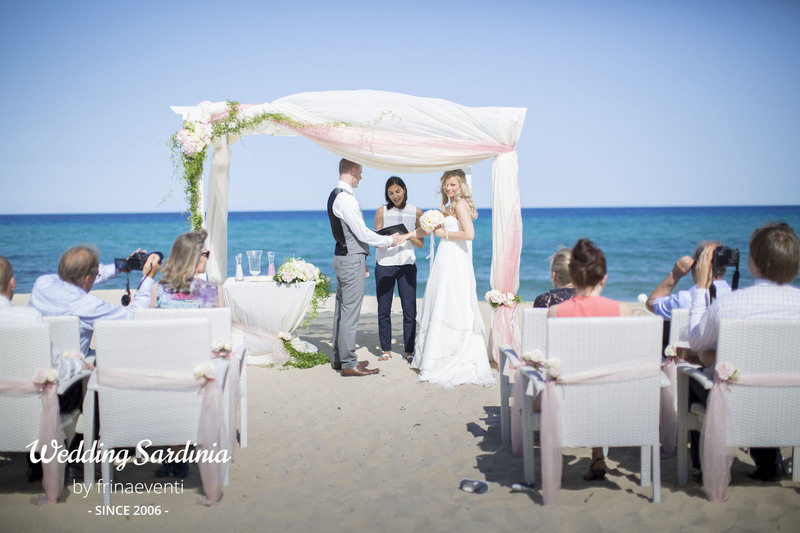 Note: at present Humanist ceremonies in Sardinia do not carry legal status in Italy, so you will have to get officially married in the Registry Office first. 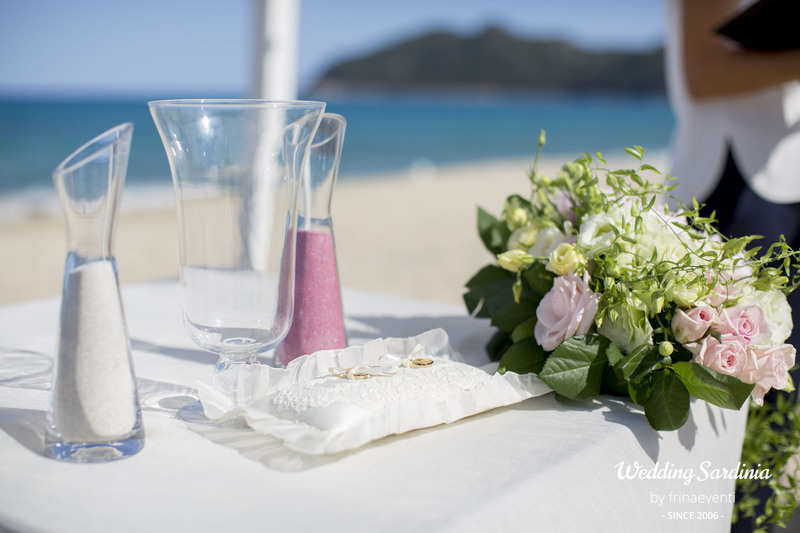 To find out more detailed information on humanist ceremonies in Sardinia please contact our wedding planner.